I have just been called a used car salesman ...... and I am confused to as why. Warning… this blog is thought provoking, but is only for the weary sole that can outlast and read 1,500 words. But it’s worth your time…. Just my .02. Today was an interesting day. My Google Alerts told me that someone mentioned me in a post. The title was "Mortgage Professional or Used Car Salesman? Why it pays to know the difference." And before I continue, let me make this statement. "I am not god, nor am I perfect, but I do consider myself to be damn good" Opinions are fine. Debates are fine and I think are healthy. But telling people to do one thing because someone else wrote something that they don't agree with?? And make it sound like it's the gospel? And when it's very misleading and missing facts? That's where I do get upset and wonder why we are in such a financial mess. Wondering if some advice by some so-called professionals are lacking truth and true value. But again, this is just my opinion. But I did a quick survey on what I am about to talk about. Out of 26 people that I talked to today, only one disagreed with my point of view in regards to what questions that a loan officer should ask the consumer. Now, many of us that hear used car salesman, we think of a sleezy type of a sales person. The first sentence in this specific blog was this..... Please read below. HHhmmmm... interesting explanation. My take? How can you compare shopping for a car vs buying a home? Besides, I actually know some very professional, successful, and excellent car sales people. I know some people that never went to college, that not only went on to have very successful careers, but they were very savvy, great at what they did, and extremely smart. But it's easy to label people that we really don't know much about. And the last statement? First off, define best deal. I think virtually impossible. To me, best deal would be something that didn't cost me a penny. What about you? Secondly in this person's statement, "the difference between what you can qualify for and what you are willing to pay equals big profit"??? Says who... In my opinion, this is a very loose statement. My quick fix.... getting that low rate will get me off the fence... As stated before, I didn't address the value of money or the value of obtaining lower rates, because that wasn't my point in this blog. My main point, I think lower rates could hurt us in the long term. Quick explanation..... refinancing people doesn't add real money into our weak economy. If I saved a client $150 a month, they might want to go to a nice restaurant once a month. If I lower their payment on a purchase? Many people aren't great savers, they will find a way to spend it. Maybe want a few new outfits. This person even made a comment about taking the extra money and paying down your mortgage principal. Sorry, but in most cases, I disagree with that advice. You should talk to a true financial planner and look at your options. My advice, find out vehicles that will allow you to invest your savings at a higher percentage than that of what you are currently paying on your mortgage. Besides, think about this... if you run into a real emergency, you just can't go to your house in 24 to 72 hours and get your money back. You would have to sell your home or refinance, that is even if you could refinance now. But if your money is another investment, in most cases, you could take that money out in a quick, timely manner. This is very interesting..... there is no reason to ask my question in the beginning of the interview. Wow... then when is the reason??? 15 minutes later? What is the first question? The one person that I found who disagreed with me and actually agreed with this person? I asked them what their first question is. They stated something like... "I want to know what you want to do" ... "what you are trying to accomplish." I am sorry, but even as a loan officer, I don't truly understand the question. If I was a consumer, I would even be more confused. Here are Jeff Belonger's basic questions asked when speaking to a potential client. Now, what is all the fuss? Why am I so hung up on the statements made above? Let me try and paint a picture for you. Jeff Belonger - "Mr. Borrower, what payment are you most comfortable with." Mr. Borrower - " I don't really want to go over $1,000... but if I had to push it, I would not go over $1,100." You as the borrower, wouldn't you know these better than anyone, right? I know how I spend my money... I know my expenses and how I live. Now... I will be the loan officer that approves you for the largest mortgage... and disregards payment in a certain sense. Average loan officer - "Mr. Borrower, do you know that I can actually approve your for $1,500 a month? Do you understand that can get you a $300,000 home and not the $250,000 home that your payment would get you?" Mr. Borrower - "interesting, I'll talk it over with the wife. We have seen some homes that cost $300,000 and we really would like that. Maybe we can make it work." new home - buying new appliances. buying curtains or window accessories. maybe a large item that breaks down? credit - we are creatures of habit and use credit that we can get now, and worry about paying it back later. If we get ahead of ourselves, we get way behind. It happens and happens more now than ever before. Ever hear about the phrase, "living pay check to pay check?" I would bet that this is about 50% of all Americans. Summary : If we give people many options, show them bigger and better, and let them think about it... many will take that risk now and go for it. Talking themselves into it. We as professionals need to remind them of what payment that they are comfortable with. We need to understand their goals, current and future. We need to educate them and make them think the whole process out. But without asking them the first question, "what payment are you comfortable with" ..... aren't we bypassing most of the problems that could arise due to the examples that I gave above? I will say this, the person that attacked me in a certain sense, did give some good input on how to look at rates and the value of money. But to make a bold statement that we should not ask about payment, at least as the first question? Then I ask you loan officer... Then I ask you America... what should be the very first question that I should be asking the consumer? Please list them in your comments. I will admit this, my first 5 years in the business, I did ask how much of a house they wanted as my first question. But after I educated myself, taught myself reasoning, and understood that with that question, we were giving a rope to the borrower to possibly hang themselves. I get blasted because we need to find out what a client wants. But wait, aren't we the experts? And we are asking the borrower to tell us a home price, but we need to factor in taxes and homeowners insurance? Don't we know that some programs and or rates could have pricing hits that the consumer doesn't know about? And that rates do make a difference in payment? So, I ask again, smart loan officer, what should be the very first question? Beth Forbes writes a basic post about what you can afford.... How much can you really afford? For important mortgage insight to watch for, please read : Consumers need to be aware of these Red Flags !!!!! Dude...I try to read most of your posts. This one has taken on the form of a Brittanica exerpt. Not that I don't mind. I did read it. I think that you're right with your comments here. I hate to say it, but it really comes down to success and experience. The more experience and successful a loan officer is in their career the more likely it is that they've figured out how to communicate with borrowers and therefore guage the most important questions to ask. Even when a borrower says $1,000 or $1,100 is the most that I want to go, they shouldn't stop there. What if the LO put them in a neg am, MTA or COFI. Like you, my desire is to be the best in the business. That means that my client's needs come before my own. Actually my clients' needs serve my own. Because by serving my clients, I serve myself. Relational or transactional (I know I'm digressing), but relational selling means that you want more deals from that person through their own opportunities and the ones that they can refer to me. Yes....you're opening question is just fine....and yes there's so much more as well. Just my .02. Jeff, Ouch is right! I didn't "skin" your post, I READ your post--and if this person disagrees with you there are more PROFESSIONAL ways to do it. I have been reading your posts almost since I signed onto AR and you are honest, professional and truly dedicated to your clients. There are always people around to criticize--I've leaned to let it go. And I admire your dedication to what you do. Jeff: Since used car salesman presumably are trusted more than mortgage professionals these days, you should be flattered! Just kidding! Enjoy your day! Jeff, it took me three tries just to get to the end of the comments, but I'm glad I waited that long because Larry summed it up so well. If we are still in the business with the market in its current state, I think it safe to say we are the lenders that do care (for the most part). We are the lenders that do get referrals from past customers, because we have proven our desire to fight for our customers best interests. You are absolutely right that by interviewing the customer effectively we gather the info needed to do right by them. The determination of what they can afford is CRITICAL to that end. Truth is I think no one disagrees with you. Michelle- I must say however that I as well take offense with the opening of your post. It paints me as a "bad lender" to any consumer who would read it because I do ask them "how much do you feel you can afford". Although I don't think you are really trying to make that point, you have. We can be salespeople and take advantage of the information our customers entrust us with or we can be counselors and help them make the best decisions for their interests (no I'm not trying to imply that salespeople are evil!). Either way we need to know the answers to critical questions regarding their finances. How much they can afford to pay is integral to that end. Wowser! My eyes are sore from this post and thread. I'm not quite sure why this discussion has gotten a bit heated, but passionate people tend to travel that road at times. Michelle, a customer doesn't know; however your post conveys the sense that if you are asked that question then your loan officer is out to get you. That's why I take offense to it. Said another way, would you say it's safe to assume if a loan officer asks you for your social security number that they intend to pull your credit? The answer most times would surely be yes, however I often do ask for socials and don't pull credit. Especially in the case where a customer can supply a recent report from another source indicating their clear inability to buy at that time. If I make the statement "Social security number equals credit report" then I paint with too broad a brush and misrepresent fact. I trust you see the similarities. I wasn't going to comment, I really wasn't. Anybody who knows me knows I love a good debate but I usually try to stay above the fray in a public forum like this. I don't think anyone garners much business from bickering with colleagues publicly. That said, I just can't keep my mouth shut. There are a number of issues addressed in the referrence posts. Are lower rates better? Even if they come at the cost of tax payer dollars? Even if they artificially inflate the market? How do we as lenders interview our clients? At what point in an interview do you discuss payment? When do you discuss your fees as they relate to what the borrower is trying to accomplish? If borrowers are saving money in payment, what will they or should they do with it? Does it make a difference if it is subsidized? Those are all valid points of debate amongst industry professionals. I would venture to say that a number of us have different opinions on all of the above. I'd be willing to debate with anyone on any of those topics. There is a troubling other thing that is going on. I'll politely call it a personality conflict. Maybe this is just arguing semantics, maybe it is people in the same state, in the same business vying for market share but I think once it gets to one person mentioning another by name in a post negatively it has gone too far for my tastes. I'd like to be left out of that. Play nice in the sand box, nobody likes a bully or a snitch. Thank you. LARRY.... . I truly think the same, especially in today's market, that it comes down to experience and success. Those that just throw mindless comments into the wind, just make us look worse overall. In my opinion and from what I have learned, there are ways to debate and argue. But attacking someones character, now I feel that this is a political campaign.. lol And when someone doesn't answer the one main question and keeps eluding it? It makes you wonder their agenda. But it's crystal clear with many of us. What's sad is that yes, payment is very important. As Missy stated, so what if it's asked later. But to tell people blatantly that if it is asked first, that you need to run away from that person has to be one of the worst reponses that I have ever heard in my 16 yr career. And I would love to take this up with a panel of financial experts on Wall Street and talk shows. I would know about 95% of their answers. In any case, payment is important and knowing what they are comfortable upfront makes all the sense in the world. It then allows you to conduct the rest of your interview... because you need to know taxes and HO. You need to know how much cash that they have to work with... you need to know credit and income. You back stuff into a payment, but you can't back payment into the rest of the equation. TIM..... . BINGO... and that is her selling tool, on how to sell against me. Wow, I bet if I just wrote that sentence as my blog, that might have gotten the point across and saved so many people some watery eyes from reading 1,500 words... lol It comes down to this person selling rate then. But in order to sell rate, you need all the questions answered to what I just wrote to Larry above you... thanks for your input. GERRY..... . I agree in most cases, but I know of a few loan officers that have a spouse that makes great income or that that person came into some money and that they will be able to ride out this poor market just on that, with no business. So it's scary in a few ways. You hit a nail on the head by stating that we need to interview the consumer effectively. Many loan officers don't. They sell rate and talk about other loans on how bad they are and how you need to be careful of them. That is all they sell... and in my opinion, that is the worst kind of loan officer to deal with. And lastly, you are absolutely correct... it paints a bad picture to tell people that if we ask about their payment in the first question, that we are essentially evil. In my opinion, that is a sad and disturbing opening remark to any consumer that has no clue and who needs our best interests in caring for their best interests. JASON.... . yes, passion brings heat. And in some cases, rage brings heat, when you are trying to bring someone down. There is a difference. And yes, we do have different methods of interviewing... but if you are asking about payment half way through, I think you have down a disservice to that borrower. We need to educate the borrower and walk them through it properly. GERRY.... . exactly, beware of the loan officer that asks very few questions. I stated this in my blog that I wrote about in regards to my top 6 mortgage questions when interviewing a potential client. And I even put this in my red flags post... Red Flags !!! Welcome to ActivePain. Jeff, I think we are stuck on a matter of principles here. I would agree the author should not be advising people to "run" if a loan officer asks what monthly payment the borrower may be comfortable with -that is simply not the case. In fact every lender and insurer, including FHA, takes payment affordability into consideration. On the other hand, as you well know and have indicated, payment is not the only consideration although it is a huge consideration. In an effort to be accurate I interviewed my remaining staff to see how many ask about payment and the one who consistently does is the most experienced (25 years) and most well trained: Wachovia, Countrywide, Bank of America and, of course, Novation. I will also say that the first question I get from most buyers, "What are ya'lls's's (that's southern for 'your') rates?" are vastly more dangerous than the question, "What monthly payment would you be comfortable with?" You know, with more experienced buyers and borrowers payment becomes quite the point of interest. Borrowers refinancing from a 30 to a 15 are almost always concerned more with the payment. Buyer's who are buying what will probably be their last home are often concerned with the payment. First time home buyers are completely lost until you hit them with a dose of reality and ask, "how much have you budgeted for your home payment?" My first question, "What is your name please? And your phone number in case we are disconnected? And how did you hear about us? Now, how may I serve you today?" If serving means meeting a payment criteria I will do my best to serve while remaining ethical on the back end. If I ask, "what payment did you have in mind" and the borrower runs from me they have just run from one of the most ethical people in the business. So, the advice the author gave was bad advice -if that's the real point of all this. Payment? That is the number one thing my borrowers ask about. Jeff, this looks like this a blatant attack with lack of experience in my opinion. Jeff helped me to buy our next home in Florida. We settled back in September 2008 and I still follow his blogs from time to time, because I feel that he is in the top of his class per se. I had started with 2 local loan officers that both screened me at first. They hardly talked about payment. They were more interested in talking about rate. My very first house I bought in 1997, the loan officer changed my rate. All of that rate stuff that he promised went right out the window. All I can say is that we haven't had many good experiences in general. Even though at first our fear was that Jeff was in NJ and not in Florida. Well, he proved us wrong. He talked to us about payment, got us to understand our goals, and help to make the process very smooth. How do I keep getting logged out? KEN..... principles? possibly... and as I have stated, I don't mind opinions. But when you blatantly tell people that people should run... sounds like the person that this is coming from is actually the used car sales person. It would be like telling the client... oh no, you don't want to go down to that Cadillac dealership. They paint their cars to look shiny and new, but they have dead horses under the engine. The tires are fake rubber. How about telling me what I can do for you and not what my competition will do or won't do. In regards to the rate issue.. BINGO... a very dangerous question when people ask first, what is your rate. Gee, from 5% to 10%... I need more info. But these loan officers that don't stop the borrower at the door on this issue, they are just as bad as the borrower asking it. There are way to many unknowns and you need to take the steps to find out more about the consumer. In ending, as you stated a little... you can't tell a borrower how to get a better rate, buy buying points, until you actually know their finances. I would bet the same loan officers that don't think payment is a big deal, are the same ones that entertain the interest rate calls and never get to the meat of the topic, explaining to them that we need more info before we even quote anything. UNKNOWN.... aka, this is Tom Burris, per his comment below...did you sell used tractors? lol Seriously though, I talk to about 4 clients a month that have spoken to a loan officer previously to me and when I ask them what payment they were given, they don't know. They say that they were never told one. Yes, the borrower should be asking anyhow, but can we blame them 100%? I blame the loan officer in most cases, because they should be stressing this point. 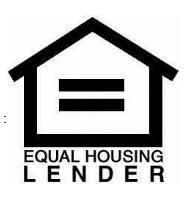 But so many people get caught up in rate and the loan officer allows that. They should not be in the business... point blank. LORI...... hey you. Wow, thanks for following my blogs still. How are the kids. I owe you all a phone call anyhow in regards to a FHA streamline. I sent you an e-mail last week, Friday, but will follow up with you later tonight. In regards to your comment... wow, I thought it was going to be as long as my blog. And I still remember your situations and what you previously went through. Yes, many people don't really talk about payment, even if they bring it up later. Some loan officers use this to their advantage, hoping that you buy as much as you can, being approved. We make our profit off of your loan amount, not the purchase price. So sometimes they want you to get happy and buy higher, even though you might not feel comfortable. And once you start looking at more expensive homes, it's harder for you to turn back. Lastly... in regards to that other person blog and her comments. Hey, some people just have a different way to sell. And at times, they need to try and make people look bad, just as when politicians do those tv commercials. They need to put bad thoughts into peoples heads, in hopes of turning their vote. Same thing here. I am use to it.. I know that I look after my clients best interest. And yes, I would agree 110% that most people actually have an idea what payment they are comfortable with. Just as Ken Cook above you had mentioned. To publicly say that 99% don't know what they want? lol You don't know until you ask them, right? Hey, thanks for stopping by and talk soon. 1) what monthly mortgage payment would you be comfortable with? 2) what price range are you considering? 3) how much are you planning on using for down payment and closing costs? Actually...the interview is much longer--but payment is probably one of the first. It helps with setting boundaries for the LO to follow. Someone is indicating what their comfort zone is and it should be respected. It's just the basics...I'm not sure why anyone would have an issue with you discussing that, Jeff. RHONDA.... . good to see you. I guess this whole topic is like beating a dead horse. Yes, many of us have different ways to sell. But the main point that is the key topic is payment and understanding what your client wants. They usually have an idea. To say that they don't most of the time? Just shows me that loan officer hasn't been around a while or has done enough business. You basically laid out the top 3 to 4 questions that should be asked in the first 5 minutes. To tell the consumer to run from a LO that asks payment in the first question? Sad... that person has no clue and I will say that all day. Michelle says that the avg consumer doesn't know what they want... but you are suppose to ask other questions outside of payment? And to address the fact, asking me if I will give them the lower rate? You need to address assets before you do this. Again, she is trying to make a name for herself with backwards attacks. Comments that are reversed... trying to confuse the consumer, thinking that she has their best interest at hand, telling them that I am going to charge more. That's what good faiths are for. Besides, these are the same loan officers that try to sell against YSP and SRP... lol Again, adding confusion to the borrower. It goes back to a rate selling... an app. taker. what a total disappointment - I can not believe that the comments and blogs going on about this topic - I must not go back to Fred's Blog - I did not see the underlying message.... I will never read the blog by Above All Financial Services - I am disappointed in the fact that all of this is out there for the public to see and see the bad blood between professionals -in this market I would hope that people would worry more about their reputation. I do not think all of us realize how childish this all sounds - we all know that what a buyer is comfortable is key - and to loose sleep or to loose integrity over this is about the stupidest play I have seen from any of you. Seriously?! You're both in a timeout.